The world of Skagaray is dark and bleak and the people are hard and ruthless. They are warriors and fighters and cast out those they consider weak or unworthy. And yet their strength is deceiving-they call on the outcasts to save them when no one else can. When Tarran, the son of a warrior, rejects their cruelty and will not take part in the brutality they call "the proving" Skagaray will be changed forever. 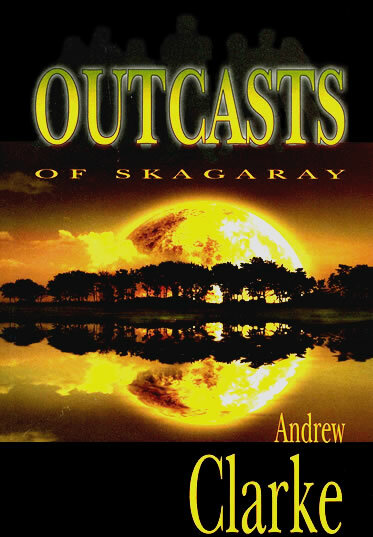 "Outcasts of Skagaray is a fast-paced, exciting adventure of how love, courage, and faith can overcome cruelty, fear and evil. Its powerful story and vivid cast of characters combine with a strong sense of a fully-realized fantasy world, with echoes of Norse and Orkney myth and history. In the tradition of G.P. Taylor, Philip Pullman, Lewis and Tolkien, this is a gripping, original fantasy quest adventure." "It is a story of the rule of evil and cruelty meeting a growing sense of doubt and finally justice...Fantasy fans are sure to find something of interest." "Myth or novel... Initially, the book seemed as far outside of time as Tolkien or Kelleher, and yet the approach Clarke takes is firmly anchored in realism. His characters are not mythical figures, but real people; the babies cry at inconvenient times and the unfit hamper the whole group's travel. Throughout the book, the mundane practicalities of life impinge on characters who are fighting against evil. Motives are always mixed, and suspicions are only dispelled through the experience of being in dire need together...God is almost a character in the book, and the implications of His way are profoundly conveyed, without religiosity. This is no small achievement, and will make the book accessible to a wide range of readers from high schoolers to adults." Andrew Clarke was born in Malta in 1953 of an Australian father and British mother. He lived in England and Australia and had several jobs before he served in the Australian Army Reserve. He then studied for four years at the University of New England and taught English and History in New South Wales high schools for twenty five years. Always a lover of books and stories, Clarke began writing at the age of seven. Outcasts of Skagaray was written in response to what he loved about reading the history of peoples like the Spartans, Romans, and Vikings. Clarke and his wife Elizabeth have five children and live in Inverell, New South Wales.